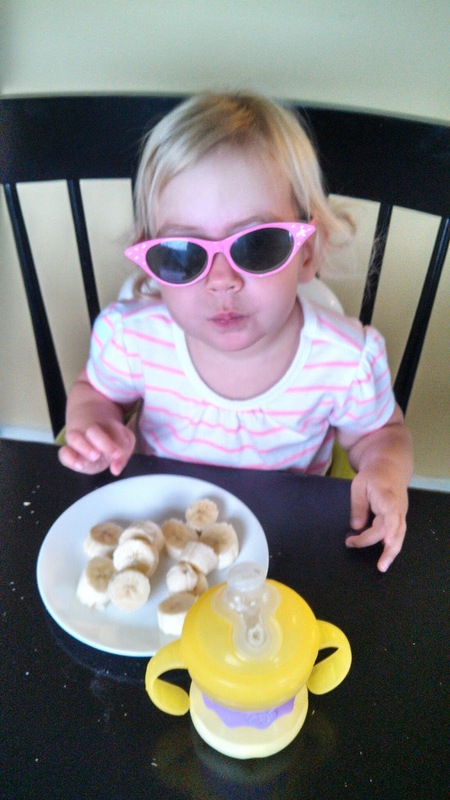 Her future's so bright, she's gotta wear shades...at breakfast. What a personality this one has!! So cute and keeps us smiling. What a joy she is. Our little P! !